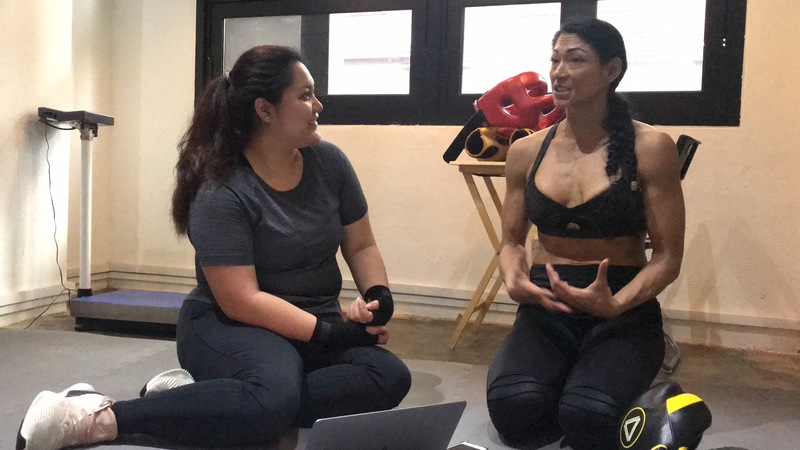 Australian-Indonesian fitness instructor, Citira Corrigan, who is currently resides in Singapore, shared us the importance of a comfortable outfit and the empowerment it brings to boxing workout. Tell us how you found the passion of boxing! I fell in love with boxing a couple years ago, when I was invited to be a part of a corporate fight club. It was in 2012 and I was a personal trainer and fitness instructor so I was very busy and active. I got into the training, like 3 months before the fight and I loved it, but I was super exhausted. I underestimated how much time I should have committed to really fighting and sparing. Unfortunately I lost that fight and it was very traumatic for me, not just losing but realizing I was in a lot of pain. It put me off boxing for a couple of years, which is really devastating for me. I did not touch my gloves after that fight for more than 2 years. So that one experience to be in that corporate fight club, really traumatized me, but it also made me really sad because it took something that I really loved to do. Finding my way back to boxing was a bit of a journey because in that time, I was unwell and I did not have my physic so I could not work for a while in this industry. I became very depressed and it was a really difficult time. I had to find my confidence, find my inner strength again, and when I got my confidence back, I felt empowered again. I felt the joy and I went back into boxing. 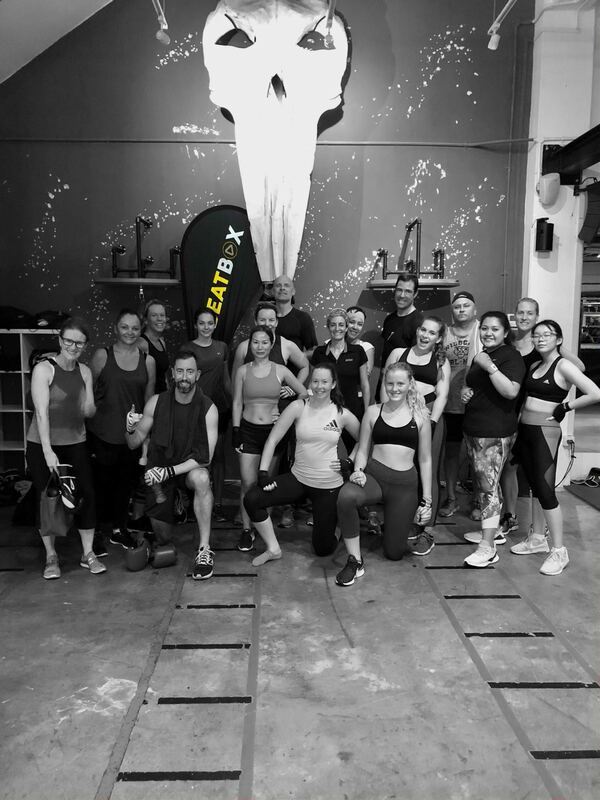 I became a boxing fitness coach, and for the last 2 years, it’s been such a passion, because I realized that boxing can be really intimidating, especially traditional boxing and specifically for women. So creating Beatbox for me was very personal through my journey. Beatbox is the space I create for an individual to feel safe and to embrace every movement in the body with joy. What is your go to outfit for the gym? How many pairs of gym outfit do you own and which brand is your favorite? I have 25 pairs that I can mix and match. I have more gym clothes than any other clothes in my closet. Hahahaha. My favorite brand is Lurv from Australia, I love it because of the quality of the material, just the fabrics it feels solid, stronger, it’s not see-through because that is a big thing. Also its very versatile as it comes in so many different colors, cuts, its fit for any type of body. To wrap up this interview, what do you think is the future of boxing outfits? I think we come from the more traditional style with boxing, you wouldn’t see women or men fighting in compression gear. Traditionally it is just shorts with a band and obviously there are rules if you fight in the ring, but if you want to box just for fitness, you can wear what you want to wear, and most importantly, wear what you feel comfortable in. I think being expressive is something that we encourage. It is one of the things that I’ve said in Beatbox, you are free to wear what you want to wear. And I think the more empowered you are in the clothes, the more empowered you are in your workout.